Joan of Arc (1412–31) was a simple, devout country girl from Lorraine. At the age of thirteen she began to hear voices from her favourite saints, who told her she was destined to liberate France from the English and secure the throne for the rightful heir, the dauphin Charles. Dressed in armour, she inspired the French to lift the siege of Orléans and led the dauphin to Reims, where he was crowned king of France. Captured in 1430, Joan was burned to death as a heretic in Rouen in 1431 after a political show trial staged by the English. Joan’s brave and noble defiance of her accusers and her insistence that she had been sent to carry out God’s will inspired the French to final victory in the Hundred Years’ War and made her a national hero. 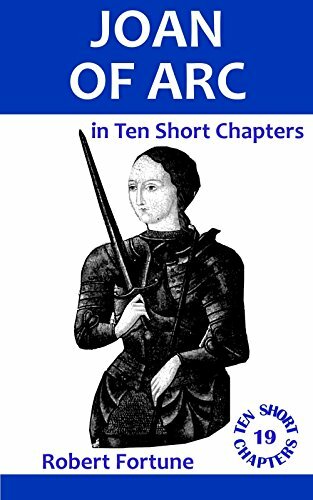 The Ten Short Chapters series presents clear and concise accounts of great figures and events in history. Written in a straightforward, no-nonsense style they give brief but informative introductions to historical subjects and are ideal for both students and general readers.